This weathered patina WISKA hanging beehive pendant light is 32 inches tall – measuring from the ceiling flange to the 17 1/4 inch diameter base. The glass lens is clear and undamaged. The ceiling flange is 5 inches in diameter and has four mount holes. This light weighs about 34 pounds. 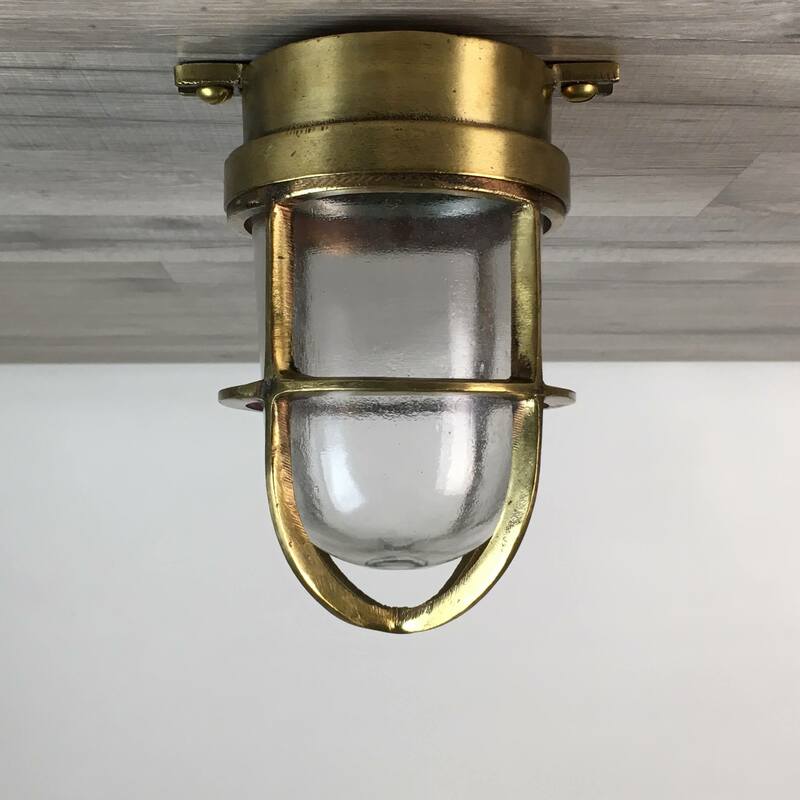 This gorgeous nautical light has been totally rewired with all UL-Listed wiring and a porcelain bulb holder. It can take a normal screw in house bulb of 100 watts or less. The new wiring includes a ground wire and exits the light from the center of the ceiling flange. The new wiring is rated to work with any voltage under 250 volts. 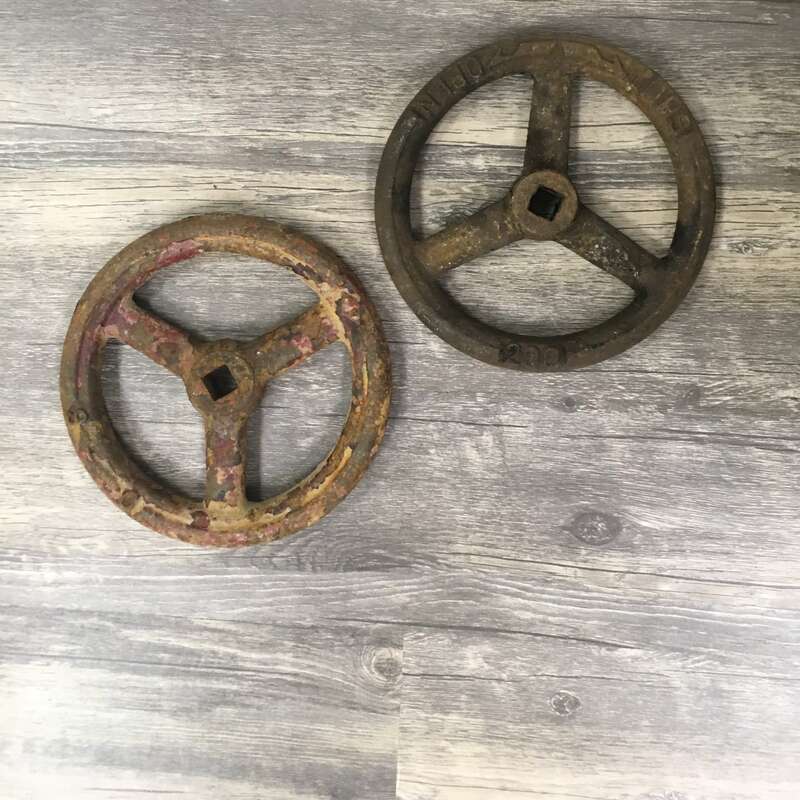 We know some of our customers prefer a weathered look so, when we received this light after the paint had been removed, we decided to leave it unpolished with a natural dark patina! Some pieces in this light design have been recast to make the light complete. All recast pieces we made to finish this light are 100% solid brass. The down rod can be shortened or lengthened. You will receive a light similar to the light shown in the photos.